Blac Chyna is now suing the entire Kardashian family saying they were responsible for putting the kibosh on her reality show with Rob, costing her a fortune — but E! sources are saying that’s BS, and there are emails that prove it. 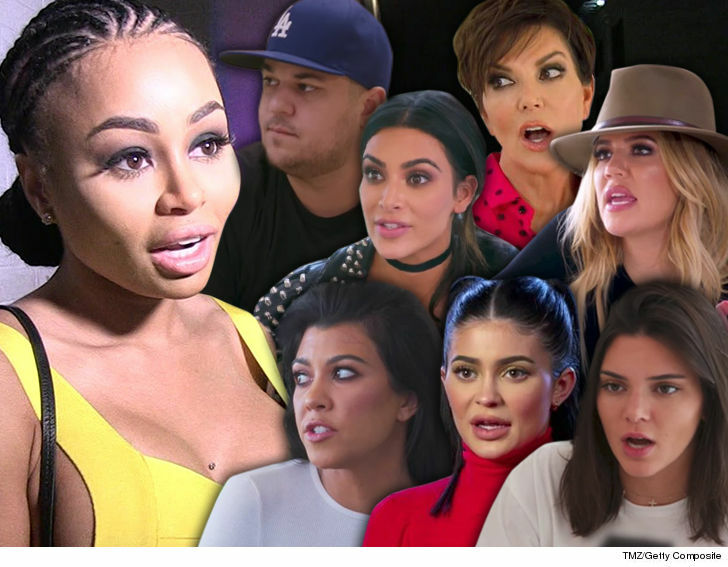 Chyna claims the Kardashians interfered with the shooting of “Rob & Chyna” to the point E! network pulled the plug, claiming production was impossible. In the lawsuit, obtained by TMZ, Chyna says the network, the production company and the stars of the show — herself and Rob — were all on board to shoot a 2nd season. However, sources connected to the network tell us they have documentation showing the reason the show was not picked up is because Chyna was making it impossible — she refused to be in the same room as Rob … so there would be no plausible way to shoot another season. We’re also told E! was unhappy with anemic ratings. Chyna is also suing the family for battery over her claims Rob brutalized during an April domestic violence incident. In the suit, she says Rob grabbed her phone, knocked her to the ground … and she ended up calling their son King’s nanny for help. She claims Rob flipped out and tore her bedroom door off at the hinges. She also claims Rob repeatedly threatened to kill himself, and the suit includes text messages where Rob says things like, “I’m literally on the verge of killing myself and u couldn’t care less.” She’s also included a photo she says is Rob’s hand filled with pills he was threatening to take to kill himself if she didn’t immediately respond to his text.